Go-Authentic.com | Monteverde offers high quality and elegant writing instruments combining the finest European resins, celluloid's, and carbon fibers with state-of-the-art ink technologies. 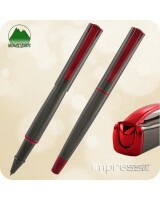 The modern design of the Impressa starts at the top of the cap with a perfect square which then effo..
Monteverde Invincia Brass Ballpoint Pen, MV42505 Uncluttered by bold colors, the Monteverde®.. 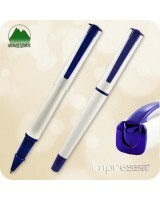 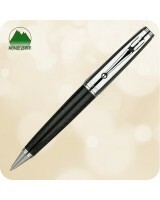 Item Number: MV40063 Invincia - Ballpoint Pen - Chrome Uncluttered by bold colors, .. 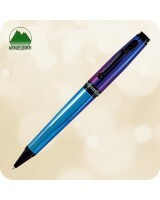 Item Number: MV40064 Invincia - Rollerball Pen - Chrome Uncluttered by bold colors,.. Item Number: MV41135 Invincia - Color Fusion Ballpoint Pen - Stealth Black Montever.. 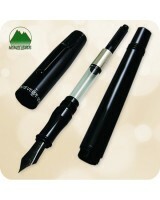 Item Number: MV41137 Invincia - Color Fusion Fountain Pen - Stealth Black Monteverd.. Item Number: MV41136 Invincia - Color Fusion Rollerball Pen - Stealth Black Monteve.. 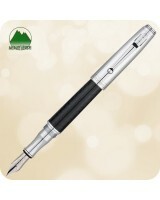 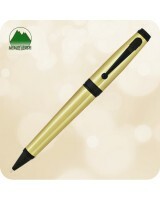 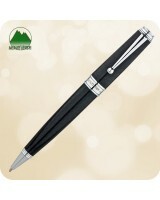 Item Number: MV41290 Invincia - Deluxe Ballpoint Pen - Carbon Fiber Chrome Montever.. 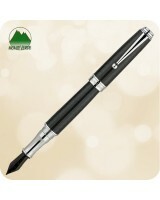 Item Number: MV41295 Invincia - Deluxe Fountain Pen - Carbon Fiber Black Monteverde.. 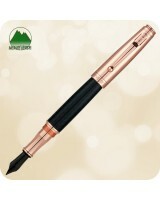 Item Number: MV41291 Invincia - Deluxe Fountain Pen - Carbon Fiber Chrome Monteverd..
Luxurious Fountain Pen Deluxe in Rose Gold with Black body, Invincia Deluxe Collection by Monteverde..
Monteverde Invincia Chrome Fountain Pen - MV40065 Uncluttered by bold colors, the Monteverde&re..
Luxurious Fountain Pen in Rose Gold with Black body, Invincia Collection by Monteverde. Item Number:..
Monteverde Invincia Ballpoint Pen Nebula MV42525 Introducing the all new Monteverde Invincia Ba..